Here at the Club, we’re very fortunate to have John Wright as our golf professional. Below, John shares details of his background and his thoughts on the game today. Can you provide us with a brief history of your golfing career and how you came to be the pro at Yamba Golf & Country Club? 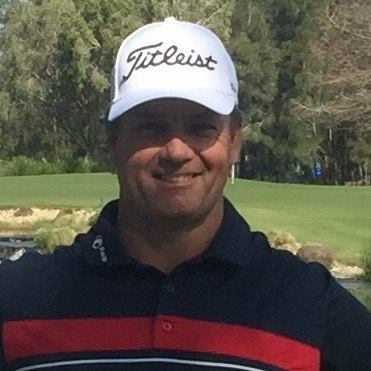 I have been the PGA Professional at Yamba GCC for 7 ½ years now, previous to that I was the Professional at Bairnsdale GC in Victoria for 4 years and Peregian Springs GC on the Sunshine Coast for 3 ½ years.. I applied for the Yamba position through my Association the PGA and was lucky enough to gain the position. My playing career has slowed down considerably since 2010 with more commitment required for my family and work, though now playing more PGA Legends Tour events since turning 50. I was lucky enough to live 200 meters from my first Golf Club in Victoria where I was raised Numurkah, in the Northern part of the state. My dad played but was not anything great but both parents encouraged my brother and I to try all sports. My first coach was a Female Club Champion who got the Junior clinic going when we were around 10 years old. Out of the 12 kids in the clinic, 3 went onto be Golf Professionals, she could coach and encourage very well. I have many that have given me satisfaction, but the most proudest was only recently when a Golfer from Iluka gave me a call after playing with one of our sons in their annual tournament and said he was a pleasure to play with and a great young man. I’m proud he has gained some good grounding. How has the golf scene changed since you first started? Definitely the technology in club and ball manufacturing. A member dropped in an old Dunlop B51 ball the other day still in the cellophane wrapping, I still can’t believe we actually used them. Tell us a bit about the course at Yamba Golf & Country Club? Its attributes are definitely the condition it is in year round. Our Superintendent Mark Ryan and his team have got this course to a standard that all players enjoy week in week out. The layout has some very hard holes and some easier par 5’s with scoring difficult when the wind blows. The other massive attraction is our proximity to the town centre. Driver wedge to the post office is amazing. We stage a 2 day Pro-Am with prize money at around $25,000 for the Professionals during early Spring. The Members have the opportunity to play with the Up and Coming Players and some older more established players. The hard work put in by all of our Committees, Volunteers who help with the beautification of our gardens and our Staff and Management is a just reward for their efforts in running this very successful event. It was a very proud moment for all at the club. What is your favourite golf destination? I would have to say Hamilton Island Golf Club. It’s one of the hardest courses I’ve played and that was with no wind. Its across from Hamilton island on Dent Island and only a short ferry trip. Put it on your bucket list, it’s a must play with the views of the Whitsunday Islands, a very special place. It would have to be St Andrews. Unfortunately I’ve been very close but just didn’t make it when living close by in the Northern hemisphere in the late 80’s. What tournaments have you got coming up at the Yamba Golf Club in the next few months? Our next big event is our BWAC Ladies Pro-Am in late March 2018. This is a must play event. The Female Professionals are a credit to the golf industry in how they present themselves and mix with the members. I encourage all golfers to play in this, high or low handicap, the girls are fantastic in hosting their playing partners. And finally for the big question……….Who is your dream foursome (living or dead)? That’s definitely Tiger Woods, Greg Norman and Gary Player. How could you not learn from those guys, they’ve done it all in golf. To speak with John and see how he may be able to assist with your game, call the pro shop today on 02 6646 2104 or come in and say hello!